Adding value to Africa's agricultural products through documentation of their international names and uses, processing and packaging education for job creation and trade. The New Partnership for African Development (NEPAD) brought together investors, food industry and policy stakeholders at the 1st. Cassava Investment Forum, a conference held in Abuja to discuss the role of cassava in Nigeria’s economic future. Chairman of NEPAD Business Group Nigeria (NBGN) Chris Ezeh, who was represented by Dr. Nike Akande, emphasized the need to increase cassava yields. “It is a food security crop that can transform the economy,” his statement read. Nigeria grows over 50 million tonnes of cassava annually, with most of the commodity crop earmarked for human consumption. 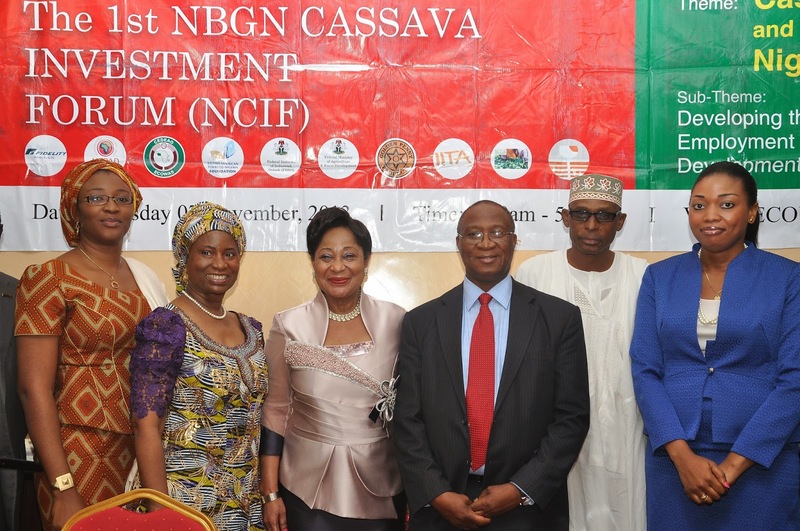 With the aim of strengthening Nigeria’s already premiere position as the world leader in cassava production, NBGN officials urged the federal government to strengthen partnerships with the private sector in order to streamline further development of the cassava value chain. Private firms, represented by executives including Nino Albert Ozara of Honeywell Flour Mills sought to learn about new product potential for their flour while research, policy and product development experts including Christiana Ebisi, Executive Director of Healthy Choice MPCS, assessed strategies to build consumer interest and new product possibilities for a variety of locally grown food crops. “At the end of the day,” Ms. Ebisi said, “success for the food industry is measured by the creation of food products that consumers love to buy, farmers make a good living from growing and the public derives nutrition when eating.” Showing support for the economic growth potential for farmers through cassava production was Abimbola Okoya, General Manager of British American Tobacco Nigeria Foundation. Ms. Okoya shared her foundation’s commitment to supporting rural farmers by encouraging their mobilization and group formation as a precursor to qualification for funds set aside for youth and women farmers. Nigeria’s Bank of Agriculture also expressed support in this endeavor, setting aside 900 million Naira for women and youth entrepreneurs interested in the agro-related sector, according to Waziri Ahmadu, Executive Director, Bank of Agriculture.